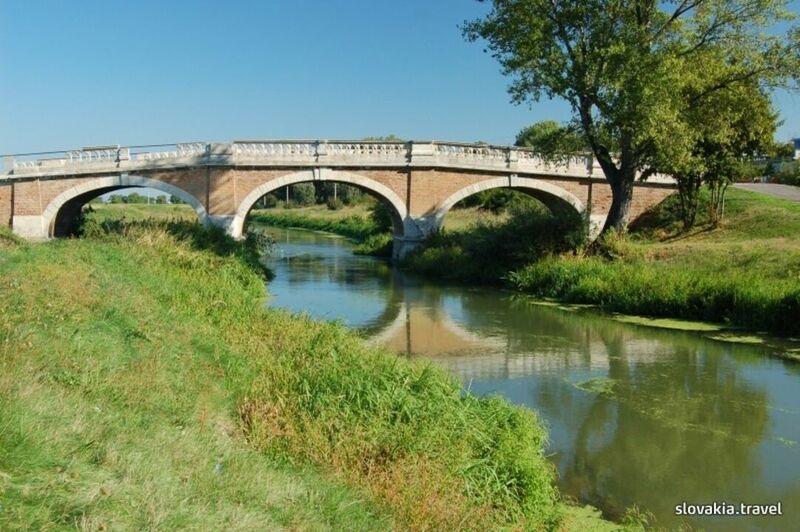 It is a three-arch stone bridge with balustrades built in the Baroque/End of the Century styles. It stands over the brook Čierna voda. In the past, it communicated what was called the French Garden with the English Park in the noble family Pálffys estate The buildings did not survive, so it seems that the bridge leads from somewhere to nowhere and it is only used as a part of the cyclist lane which was established here in 2002. The bridge was probably built in 1904. Before 1900, a wooden bridge existed next to the Pálffy manor. The lord of the estate had it pulled down.